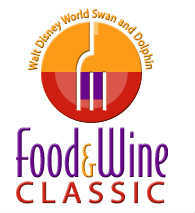 The Third Annual Swan and Dolphin Food & Wine Classic at the Walt Disney World Swan and Dolphin Hotel returns Oct. 12-13, 2012. It will showcase some of the top food, wine and beers in the world, along with informative seminars conducted by members of the hotel’s award-winning food and beverage team. Highlighting the event will be the appearances of celebrity chefs Michael Mina and Todd English. Mina is an award-winning chef and author of Michael Mina: The Cookbook . He is the executive chef at his two namesake restaurants in San Francisco and Las Vegas; has been featured in multiple national print magazines, and cooked for celebrities and notables, including three U.S. presidents. Tickets to the Swan and Dolphin Food & Wine Classic are available as part of a hotel package or individually. Advance purchase event tickets are $80 (including taxes) per person, and include unlimited samples. Tasting stations will be open from 5:30pm -9pm each day. Beverage seminars – in wine, spirits, and beer – take place between 4:30pm and 5:30pm each day. Cost is $45 per person, per class (including taxes), and can be reserved online. For more information or to book, please visit SwanDolphinFoodandWineClassic.com or call 1-800-227-1500. Make it a full day and take the water shuttle from the Swan and Dolphin hotels to Epcot and enjoy an afternoon at Disney’s Food and Wine Festival.